Get an instant quote for your Manchester taxi. 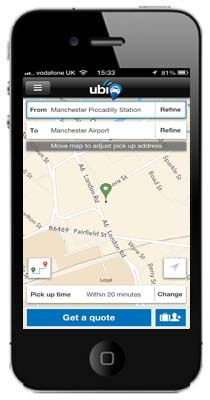 Book in a few clicks when you need taxis in or around the City of Manchester. The City of Manchester is built around the rivers Irwell and Mersey which provided the ocean links that made Manchester into the world’s first industrialised city whilst its origins can be traced back to the Roman fort of ‘Mamucium’ in 79 AD. Nowadays, you’re more likely to see passenger trains and trams unloading commuters at the MediaCity in Salford Quays than large ships loading cotton. 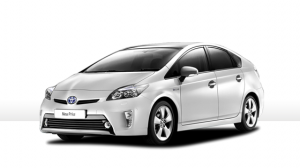 ubiCabs offers an excellent affordable minicab service in the Manchester area at very competitive fares. For example, an advanced booking can be as low as nine pounds from Piccadilly station to Old Trafford. Get a free instant quote and book either online here or download our iPhone or android app. Ever wanted a Manchester taxi and found your wallet somewhat sparsely populated? No more searching for cash points. We accept cash, card and account for payments. ubiCabs’ security is top notch too, we use 128 Bit 3D security for all our transactions. Book your taxi to the airport and pay with confidence however you like.